Former NFL player Greg Hardy made his octagon debut at tonight’s UFC on ESPN+1 event in Brooklyn against Allen Crowder. After a chaotic opening five minutes the heavyweights appeared to settle down in round two. While battling in the clinch, Allen Crowder was forced down onto one leg. It was at that moment that Greg Hardy connected with an illegal knee to the head that ultimately forced a stop to the action. 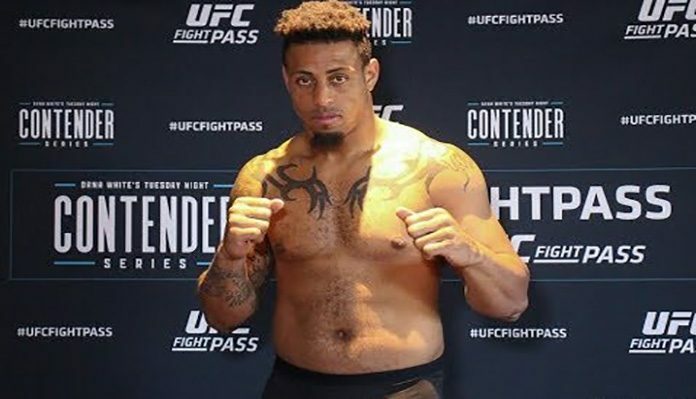 After Crowder was unable to continued, the bout was called off and Greg Hardy was declared the loser via disqualification. That was the worse ending Hardy could possibly ask for. Do think @GregHardyJr did it on purpose because he wanted out of the fight or he just doesn’t really know the rules? Do you think Greg Hardy will get another shot in the UFC after tonight’s controversial result? Sound off in the comments section PENN Nation!